It's 'almost' spring here in Michigan, the temp was almost 70f this week! Such a nice break to be able to stamp with my studio windows open! 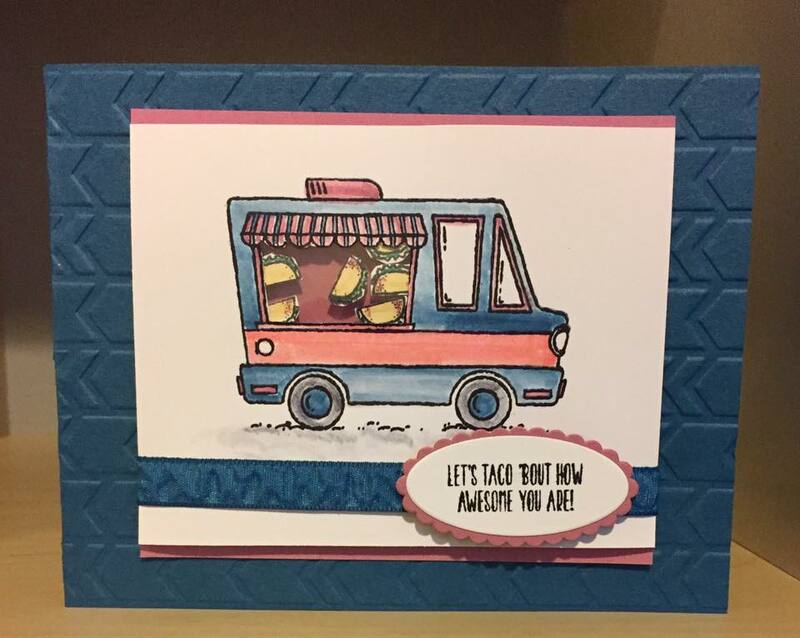 How about this layout from Amanda? 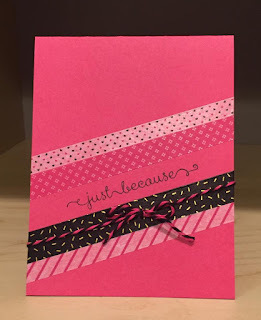 I received some brand new washi tape from Stampin' Up! yesterday and decided to make up this super quick card using the layout. It's time again for another challenge from AYSI! How about some color this time around. Ms. Amanda created an awesome color inspirations. If you don't happen to have the Stampin' Up! colors shown please feel free to use similar colors for your project. There is something about Flirty Flamingo and Dapper Denim that call my name. Truth be told I'm not a purple gal but I do like the saturation of Sweet Sugarplum, such a great pinky-purple! How about that TACO TRUCK!! This is a free stamp set from SU! right now for every $50 in product you spend you can earn it for free. 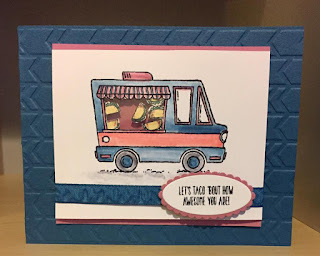 I also made my taco truck into a shaker card using window sheets. It's pretty fun if I do say so myself! Don't forget to play along with www.asyouseeitchallengeblog.com this week!